Nick Radford is a wonderful photographer I follow on Instagram (@_nickradford). 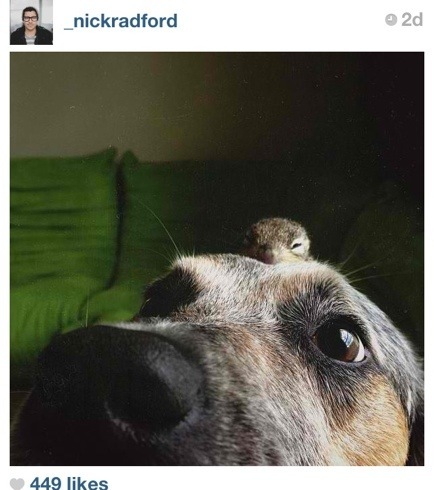 Lately he’s been posting photos of a baby squirrel he rescued interacting with his loving dog, Maverick. The cuteness is killing me. P.S. Baxter totally would’ve tried to eat that little guy already. Lol my 18 year old son is called Baxter!!! !